TAIPEI, Taiwan--(BUSINESS WIRE)--CyberLink Corp. (5203.TW), the world's leading consumer multimedia software company has announced the launch of YouCam 8 webcam software. YouCam 8 integrates seamlessly with popular video conferencing apps including Skype, Google Hangouts and CyberLink U Meeting, allowing users to add special webcam effects such as animated stickers, emojis and even stunning animojis to video calls. Furthermore, YouCam 8 also supports Facebook Live and YouTube Live broadcasting services, adding real-time skin smoothing and filters that let users look their best on webcam streaming. YouCam 8 provides a wide array of fun effects such as animated emojis, avatars, AR effects, frames and video filters. In addition, users can apply real-time enhancements, such as skin smoothing, auto lighting and noise reduction, to live webcam videos. 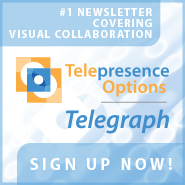 "With HD cameras built-in, laptops are still easily the best solution for holding productive video calls and meetings. For years, CyberLink's YouCam has been the first choice to make video conferencing more engaging and entertaining," said Dr. Jau Huang, CEO of CyberLink Corp. "With the introduction of YouCam 8, we'd like to provide the ultimate experience for video calls and live broadcasting events on YouTube and Facebook, making YouCam 8 the ultimate accessory for work and play on laptops." Complementing the webcam chat and broadcast features, YouCam has a strong set of creative editing tools, allowing users to perfect webcam recordings and photos. Tools to resize and draw on images couple easily with a wide array of true-to-life face beautification tools for users to create perfect profile pictures and avatars. The new video trimming tools allow for longer recordings to be trimmed down into bite-size segments ideal for social media. For the first time, YouCam 8 also includes CyberLink's TrueTheater enhancements for post-recording editing so users can upscale webcam footage with both TrueTheater Color and HD enhancements. 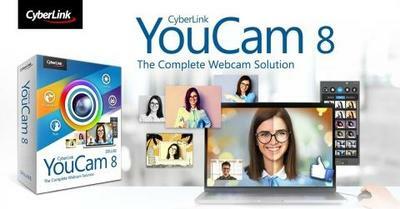 YouCam 8 is available today from the CyberLink website. CyberLink (5203.TW) is a world leader in multimedia software design. Since 1996, CyberLink has transformed how people enjoy and create media on PCs, mobile devices and in the Cloud. The company's award-winning products are sold to all major PC manufacturers as well as millions of customers worldwide. Headquartered in Taipei, Taiwan, CyberLink also runs regional operations through offices in the US, Japan, Europe and Asia-Pacific territories. Further information about CyberLink can be found at cyberlink.com. 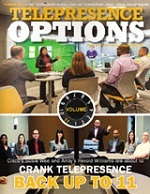 \"With HD cameras built-in, laptops are still easily the best solution for holding productive video calls and meetings. For years, CyberLink's YouCam has been the first choice to make video conferencing more engaging and entertaining,\" said Dr. Jau Huang, CEO of CyberLink Corp. \"With the introduction of YouCam 8, we'd like to provide the ultimate experience for video calls and live broadcasting events on YouTube and Facebook, making YouCam 8 the ultimate accessory for work and play on laptops.\"